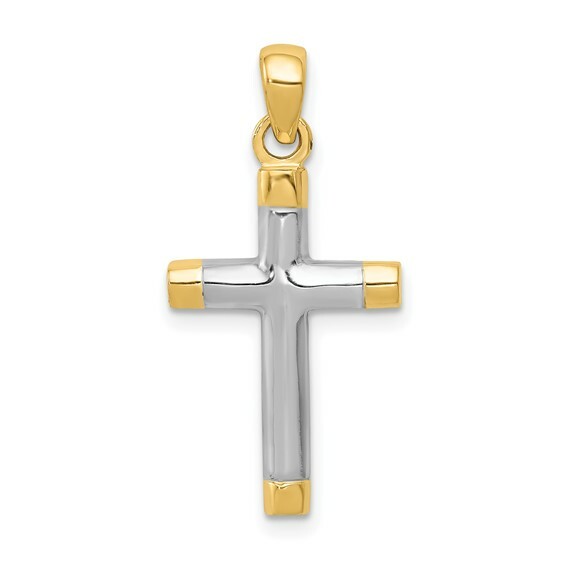 14k two-tone gold cross pendant has a smooth polished finish. 14k yellow gold end caps and bail. Item measures 1/2 inch wide by 7/8 inch tall without loop and bail. Flat polished back. Weight: 2.0 grams. Import.